Announcement Welcome to Shut Up and Cuff Me! 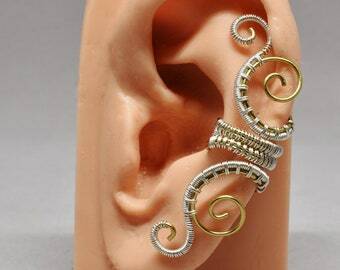 We specialize in handmade ear cuffs, though we also occasionally carry other handmade jewelry items like necklaces, earrings, rings and bracelets. Welcome to Shut Up and Cuff Me! 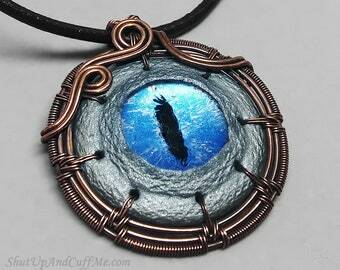 One of my hand painted dragon eyes set on a purple lepidolite donut and wrapped with woven silver colored wire. 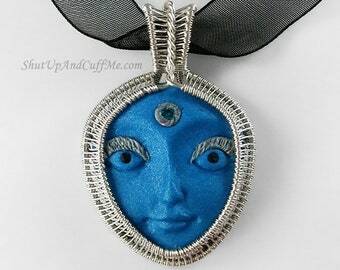 I started selling jewelry in my main jewelry shop here on etsy in 2007. 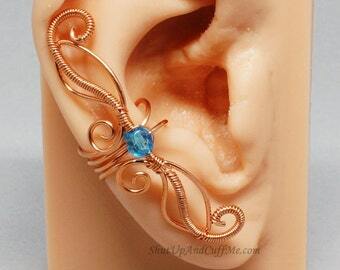 I love making intricate, intense pieces of jewelry. 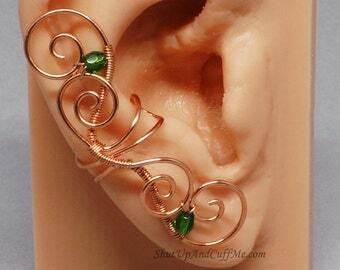 But I also love doing all sorts of ear cuffs. 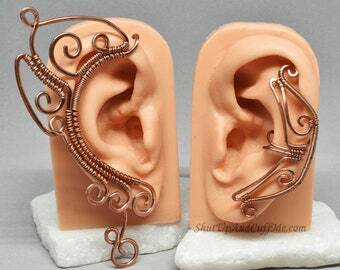 When it became apparent to me that the two styles didn't mix so well, (ok, the ear cuffs were starting to take over the other shop) I figured it was best to open another shop just for ear cuffs. I've been making things for as long as I can remember. 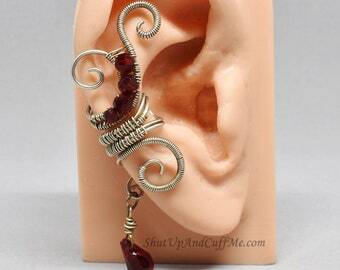 I first started selling my creations as a teenager. I was mostly doing beadwork and selling it at local craft shows. 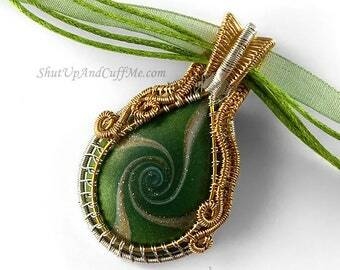 I started wirewrapping in 2007, and have been hooked on it ever since.